Simple comfort without conventions, without excessive etiquette - pleasantly informal, but with style - the ibis Hotel Nürnberg is a place where life is pleasant. Welcome to the ibis Nürnberg Altstadt - Yours sincerely, Joerg Berger. 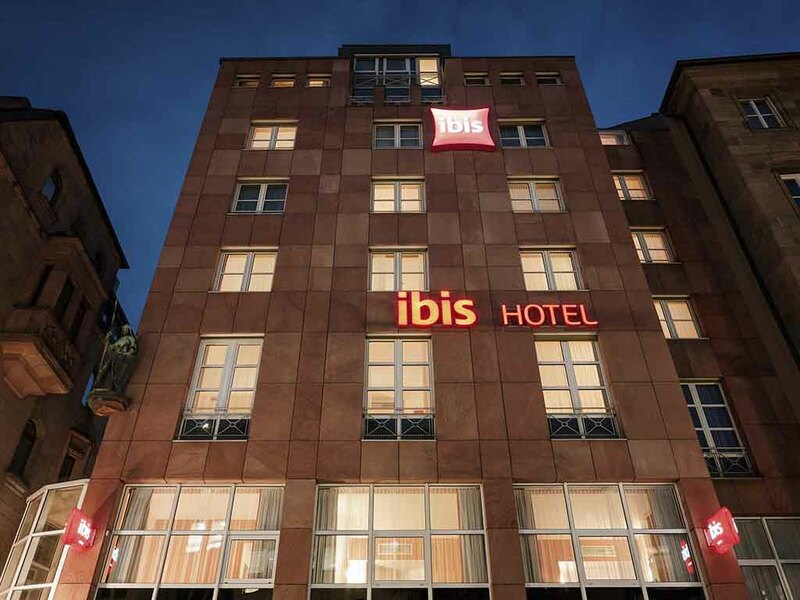 The ibis Nürnberg Altstadt is located in the city center, 109 yards from the train station and 4.3 miles from the airport and exhibition center. The hotel has 61 air-conditioned rooms with WIFI and flat-screen TVs. The center can be easily explored on foot - see Nuremberg Castle, Albrecht Dürer's house and the opera house. Surf the net for free at our Web Corner in the lobby and set yourself up for the day at our sumptuous breakfast buffet, open from 4am to midday to cater for both early and late risers. Your ibis Nuremberg Altstadt hotel has 61 air-conditioned rooms with Sweet Bed by ibis beds for the ultimate in comfort and a restful night's sleep. Rooms feature a desk for your mobile office, free WIFI and a TV including a range of Sky channels. Our hotel bar welcomes you around the clock. Drinks and snacks are served 24 hours a day and you can also watch live sports on Sky. WIFI is available free of charge. We look forward to your visit!